The Fact: Neufchatel cheese, the inspiration for conventional block cream cheese, originated in France in the 1500s. In 1872, William Chester, a New York dairyman, accidentally discovered a cheese making method that produced a creamy mild cheese while trying to duplicate the French Neufchatel recipe. He sold it as ‘cream cheese’ to the Empire Cheese Company, who in turn marketed it under the ‘Philadelphia’ brand. The Inspiration: Who doesn’t like cream cheese? It’s the perfect in between for those who don’t quite get the cheese frenzy and think cream’s too fatty and tasteless to be loved as much. As for me … I love the soft, almost-smotherable, velvety-smooth texture and the lightly salted flavor of the cheese. But then I also love cream and cheese, independently, just as much. This frosting has a more distinctive tang than the Cream Cheese Buttercream Frosting recipe I share below, simply because it uses pure cream cheese and whipped cream. It’s wickedly delicious, less sweet and works better with cakes in general, where you want the cake to carry the main flavor and the frosting to complement it; for example, red velvet cake or carrot cake. 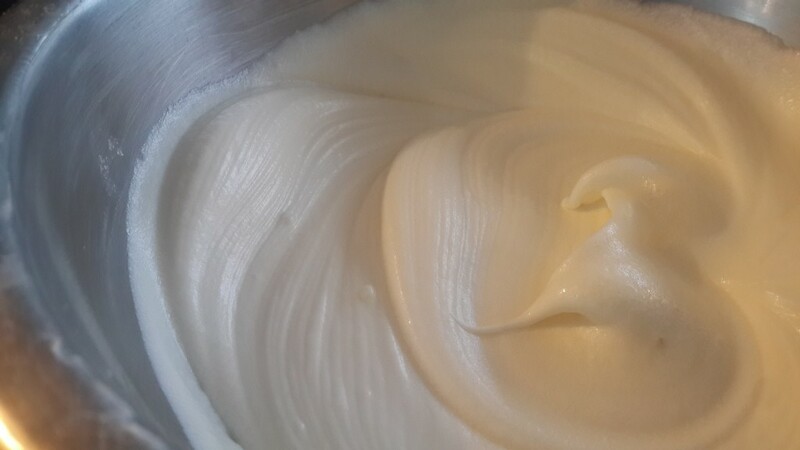 This frosting is also relatively stable and forms firmer and steadier peaks and swirls than the second frosting recipe on the blog, below. Since this frosting uses whipped cream, it’s less stable outdoors and in the heat for long hours. In a large bowl, beat the cream cheese on medium speed until it’s creamy and smooth. Add the vanilla and confectioners’ sugar and on slow speed, beat in the sugar until it’s smooth and fully incorporated. Scrape down the sides of the bowl using a spatula. 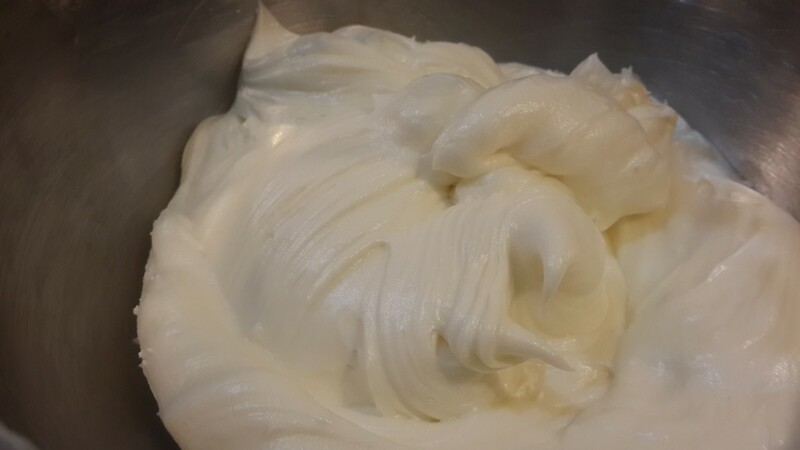 Add the cold whipping cream and whisk on high speed, until the frosting is thick and stiff peaks are formed. It should take no more than a few minutes. If it’s not yet stiff, add more sugar, tablespoon at a time. Remember that the temperature and brand of whipping cream is very important. The cream has to be absolutely cold, preferably being beaten in a chilled bowl. It should also be a brand you’ve tried and tested before. 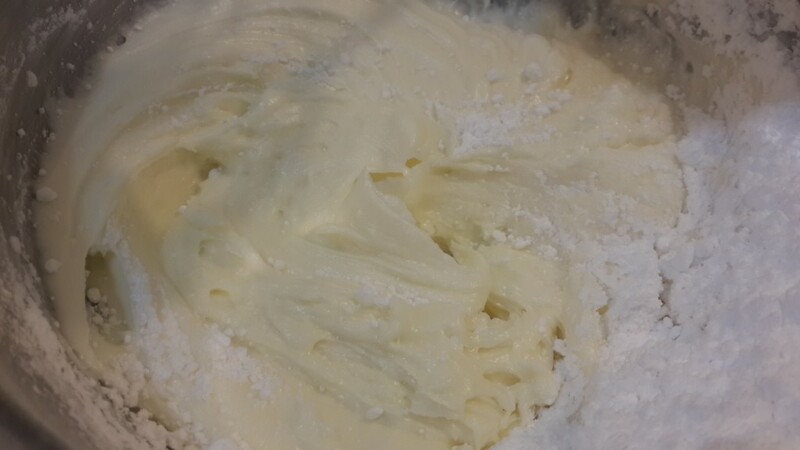 If it’s one that doesn’t form peaks easily, beat it separately and fold it into the cream cheese and sugar mixture. It’s the icing sugar and the whipping cream that gives this frosting its stiffness and structure. By adding more or less of the sugar, you can adjust the stiffness of the frosting depending on what you what to do with it. If you want to pipe well-defined roses, swirls, peaks, and other structured decorations, you need a firmer frosting, which means more sugar and stiffer whipped cream. 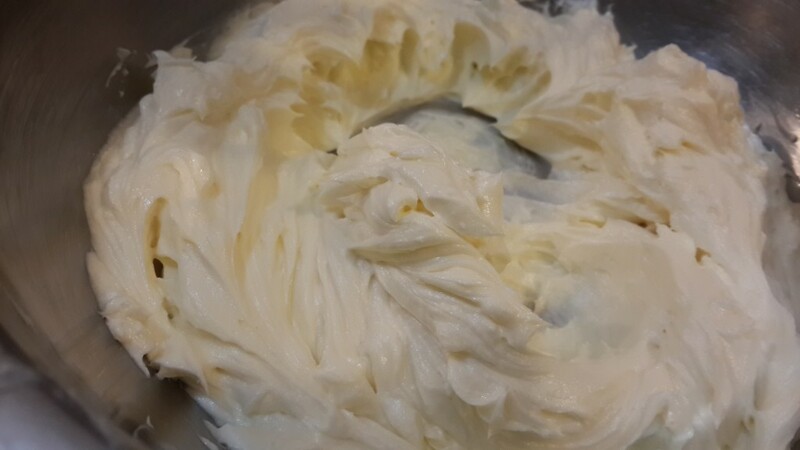 For irregular and not very structured swirls and flecks, a softer frosting with lesser sugar works perfectly. If your cakes/cupcakes are going to be standing outdoors or in the heat for a while, avoid this frosting because it won’t hold too long in heat. 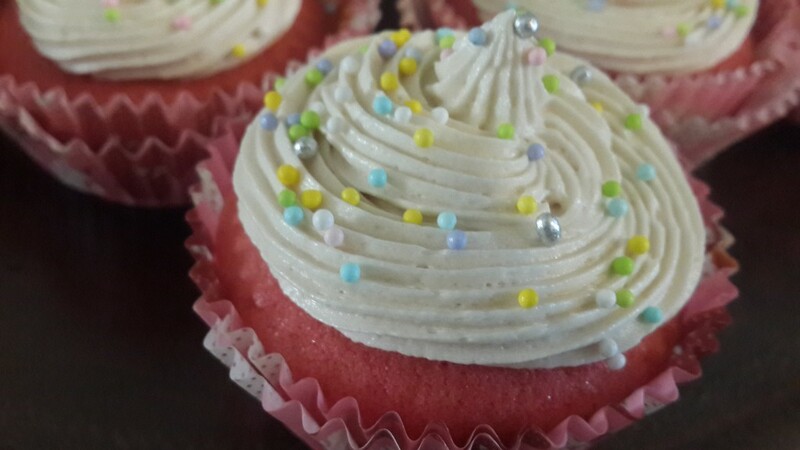 Ensure that your cakes/cupcakes are completely cooled before you frost them or once more, the frosting will melt. Use this frosting when you want the frosting itself to be your highlight—sweet, yummy and addictive, like in most cupcakes. This one has a wicked taste and texture. It also pipes softer peaks and swirls and is easier to handle compared to the frosting above, simply because of its higher butter content, because of which it won’t last too long in the heat; however it can stand for hours at room temperature or in a relatively cool place because the frosting tends to crust lightly when exposed to air. In a large bowl, beat the butter on medium speed until it’s creamy and smooth. 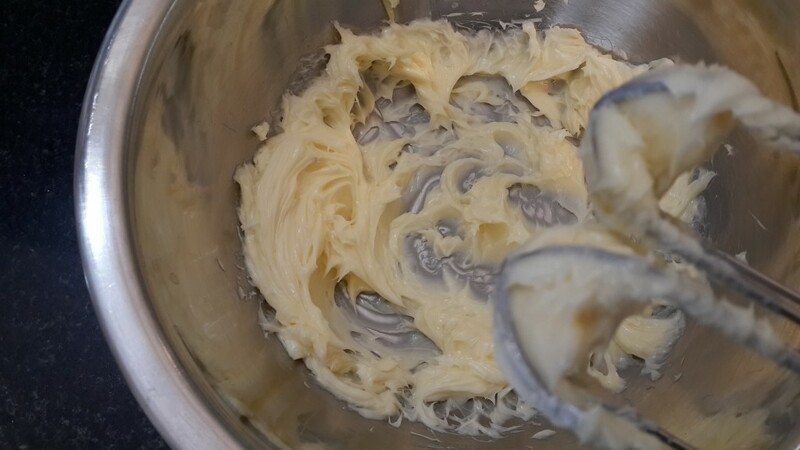 Add the cream cheese and vanilla and continue to beat until the entire mixture is smooth and you can no longer differentiate between the butter and the cream cheese. Scrape down the sides of the bowl and gradually increase the speed to high. Beat on high for a little less than a minute. Then, on low speed (stir speed), beat in the confectioners’ sugar until well combined. 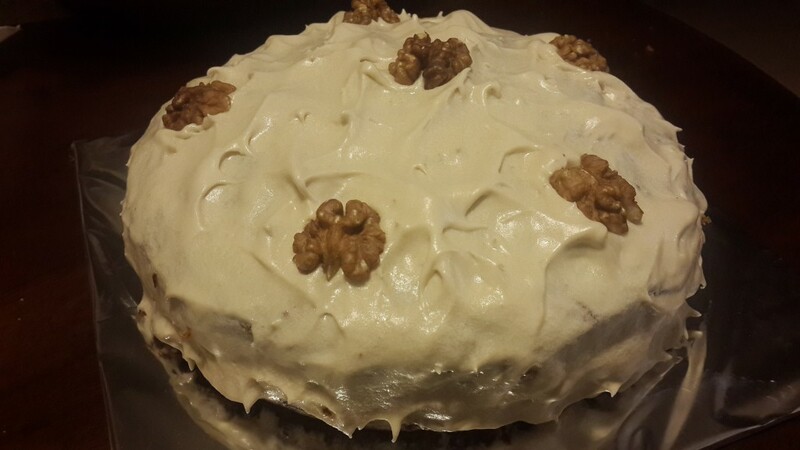 Once you’re sure of the sweetness and stiffness, beat the frosting on high speed for about 2 minutes. At this point, the frosting should no longer feel grainy. It should be fully incorporated. 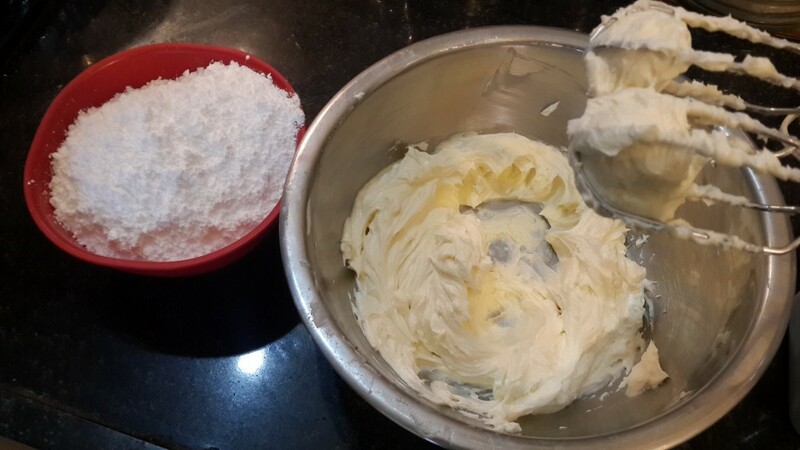 If you need the frosting to be stiffer than what it is, add more icing sugar by the tablespoon. Alternatively, you can also add 1 – 2 tablespoons of whipping cream. It’s the icing sugar that gives the frosting its stiffness and structure. By adding more or less of it, you can adjust the stiffness of the frosting depending on what you want to do with it. If you want to pipe well-defined roses, swirls, peaks, and other structured decorations, you need a firmer frosting, which means more sugar. 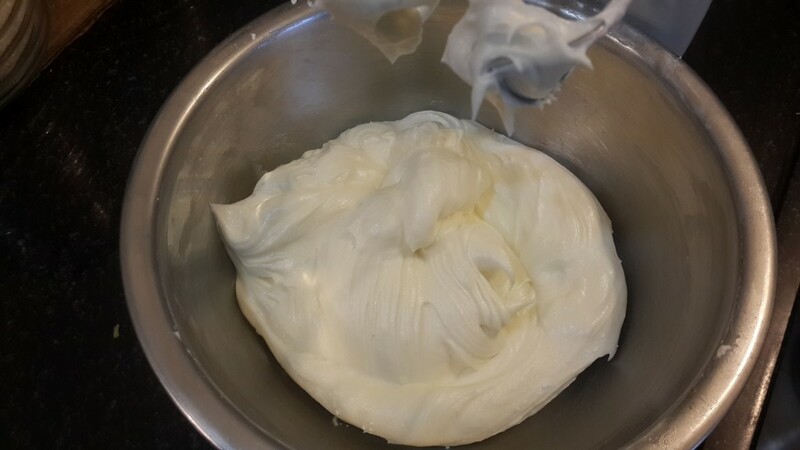 For irregular and not very structured swirls and flecks, a softer frosting with lesser sugar works perfectly. If your cakes/cupcakes are going to be standing in the heat for a while, avoid frosting altogether because it won’t hold too long. However, if your cakes/cupcakes will be standing in a relatively cool place, they will last for hours because this frosting tends to crust lightly when exposed to air.